Santorini wedding photographer Nikos Sirigos will capture your best moments on your wedding day in Santorini. Your wedding photographer will take perfect and professional photos for a small wedding in Santorini or for a big extravaganza wedding. Nikos will be there with a lot of excitements to take your wedding photos . (Photo tours on the best locations of Santorini, Honeymoon photo shooting, Pre wedding photography and Vacation photography). Our background is in multimedia, wedding Photography, creative art and marketing. We treat every project as a personal challenge and provide you with the professional outcome you’d expect. Whether it’s a baptising ceremony, birthday party, graduation, engagement party or a wedding, we have the equipment and the experience to deliver quality DVDs you will cherish through years to come. When you order professional wedding photography services from us, you do not only rely on the equipment. You trust the person behind the camera – after all, the camera is just another tool… Contact us today and get a free quote for your next video project. We will help you with a photo session in Santorini. Book our services and forget about usual destination photography worries. For the best locations, nice posing, and correct lighting. I will take over all your Santorini photo shoot details so that you can relax and enjoy the experience. For everySantorini photography tour firstly you will receive a list of possible locations for a photo session shortly after booking. You will get a full picture of Santorini and be able to choose the spots you liked. I will instruct you during your Santorini photo shoot so that you know where to stand or sit, what to look at and when to smile or keep calm. I prefer the natural sunlight and its reflections. But I do use lighting equipment when it’s required. You can book your wedding photographer through our wedding packages or Get in touch with me and ask for a quote. Make sure to mention the dates when you need a Santorini photographer service. Also please specify the type of the Santorini photography session. 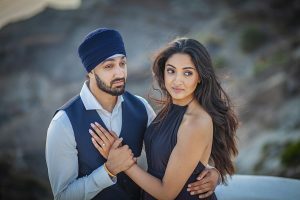 This may be Santorini wedding photo shoot, pre-wedding photography, a candid couple photo shoot or any other, including family and pregnancy photography. BRIGHT COLORS. TRUE EMOTIONS. BREATHTAKING PHOTOS! This is my motto. I’m in love with the photography and it’s mutual. By working hard, I keep my heart soft. I see all the shades of clients’ emotions and feelings. It helps me to choose the right timing for a shot. So I developed my own approach for the destination photo shoots. I combine technical perfection in the photography, creative and artistic vision with true emotions of the couples. Most of the photographers prefer to keep the couples “freezed” and “statue-like” as it seems easier to work with. But I want to convey the true emotions and feelings of the couples. Sometimes it’s really tricky to achieve, but I work hard on this. And the result speaks for itself. The clients get breathtaking emotional photographs reflecting the most glorious moments of their lives. When it comes to communicating, there is great news here! I’m a multilingual Santorini wedding photographer. I fluently speak Greek, Polish and English, can communicate in Russian as well . So, you will be having the most comfortable photo shooting experience with us! Get a quote via info@santoriniweddingplanner.com or making a call to +30 6944803339 (Viber & WhatsApp available). 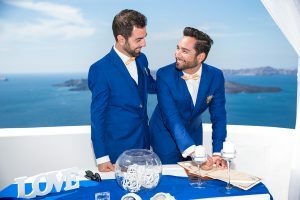 Recent Santorini Wedding Photography and wedding Photo tours.